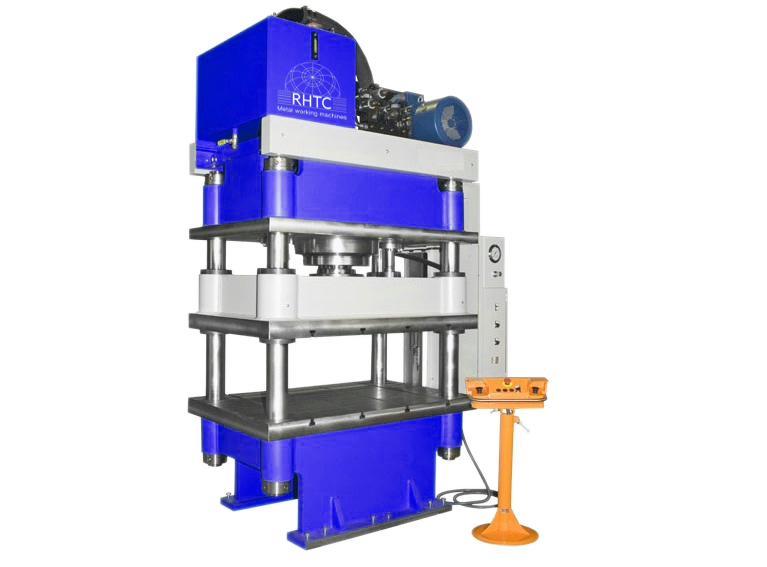 This RHTC four column press is designed with four chrome-plated cylindrical columns to increase accuracy and capacity during pressing, forming and stamping. 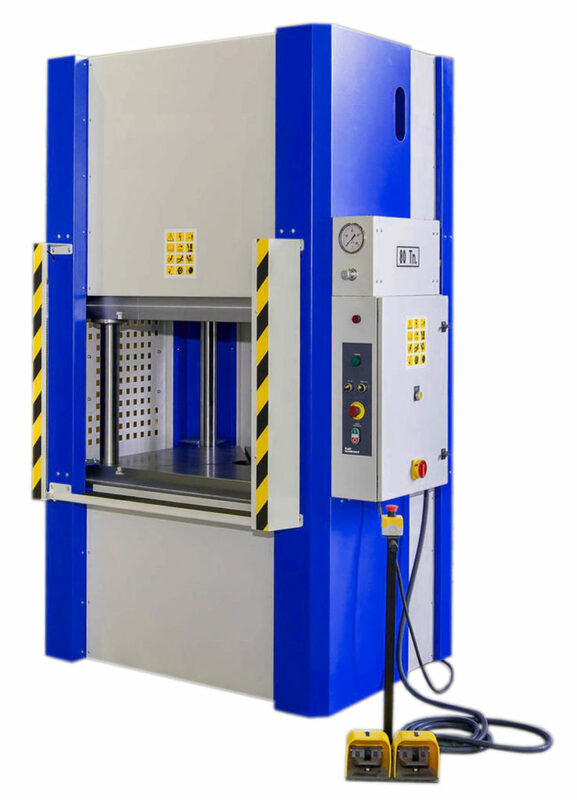 These hydraulic presses fulfil the latest CE-regulations, are made in Europe and have a very high quality. This 150 ton four column press has a double-acting cylinder with chromed piston and anti-wear guides. The upper- and lower table are equipped with T-grooves and have a size of 1.440 x 990, the opening between the tables is 700 mm and the piston stroke 450 mm. This hydraulic press is equipped with a motorized hydraulic unit with two cylinder speeds, a selector for manual or semi-automatic operation, a pressure regulation and a manometer in tons. RHTC can guarantee a high quality of these machines and therefore, these hydraulic presses with four cylindrical columns have a warranty of 2 years.